Hard-to-reach spots – if your stand is too remote to replenish with BB2 regularly, the Cube is the perfect answer. Like BB2, it will attract deer from far and wide while providing the nutrients and protein that deer desire. Hunting mature bucks – minimizing activity is crucial when hunting mature whitetail bucks. Because the Cube lasts longer, it will help you limit the amount of movement in the area, yet makes sure the buck has a reason to keep coming back. Long-distance hunting – some of us don’t live where we hunt, so we can’t check our BB2 sites like those who do. 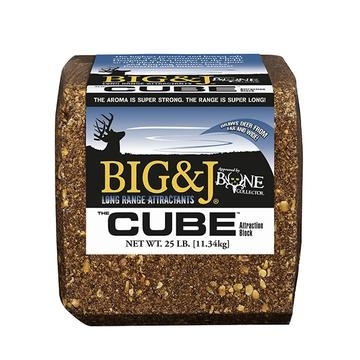 The Cube is perfect for this situation since it ensures your deer always have a reason to return.